Enter promotion code: FBPN9U6HQ8LQ217 to earn 10 free Pampers Gifts to Grow points. Enter promotion code: TW9ZRNJE87JRD17 to earn 5 free Pampers Gifts to Grow points. Expires: 3/02/17 at 11:59pm CT so act fast! Enter promotion code: FBDTVYWTELJVR17 to earn 10 free Pampers Gifts to Grow points. Enter promotion code: TWLC8HRPGAENK17 to earn 5 free Pampers Gifts to Grow points. Expires: 1/22/17 at 11:59pm CT so act fast! Enter promotion code: FBHV9QUMW2BQ617 to earn 10 free Pampers Gifts to Grow points. Enter promotion code: TWY8CP8UEPJKG17 to earn 5 free Pampers Gifts to Grow points. Expires: 1/05/17 at 11:59pm CT so act fast! Enter promotion code: FB6SUMMERTIME16 to earn 10 free Pampers Gifts to Grow points. Enter promotion code: TWJE245SUMMER16 to earn 5 free Pampers Gifts to Grow points. Expires: 6/30/16 at 11:59pm CT so act fast! Enter promotion code: FBZ83KMAY3S6J16 to earn 10 free Pampers Gifts to Grow points. Enter promotion code: TWD23KSDKERAL16 to earn 5 free Pampers Gifts to Grow points. Expires: 5/05/16 at 11:59pm CT so act fast! 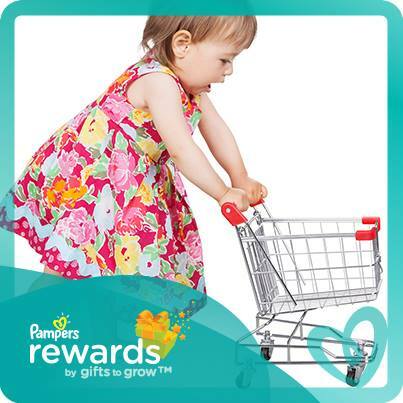 Enter promotion code: TWR7BAM8L8PXN16 to earn 5 free Pampers Gifts to Grow points. Expires: 1/21/2016 at 11:59pm CT so act fast! Save money with exclusive coupons and receive a weekly, customized email, tailored to each stage of your pregnancy or your baby’s development. Enter promotion code: TWDC3SH2AEBDJ16 to earn 5 free Pampers Gifts to Grow points. Expires: 1/7/2016 at 11:59pm CT so act fast! Enter promotion code: FBW6LP9AMG5E415 to earn 10 free Pampers Gifts to Grow points. Enter promotion code: TW29BWA3PHXES15 to earn 5 free Pampers Gifts to Grow points. Expires: 12/27/15 at 11:59pm CT so act fast! Enter promotion code: FB16TDBE7RL9G15 to earn 10 free Pampers Gifts to Grow points. Expires: 9/21/15 at 11:59pm CT so act fast!